The bathrooms in our homes are often the second most-used room, aside from our kitchens. We spend a lot of time in the bathroom taking care of personal needs, from using the toilet and bathing or showering to brushing our teeth and grooming. As such, it is not uncommon for us to want to make accessing items easier by storing them in the bathroom. We also like to add new items to make the time we spend in there more enjoyable and relaxing. However, it is important to remember there is increased humidity and moisture in the bathroom, which can affect various items as well as pose safety risks. Any type of electronic device that is not water and moisture proof/resistant should not be kept in the bathroom. 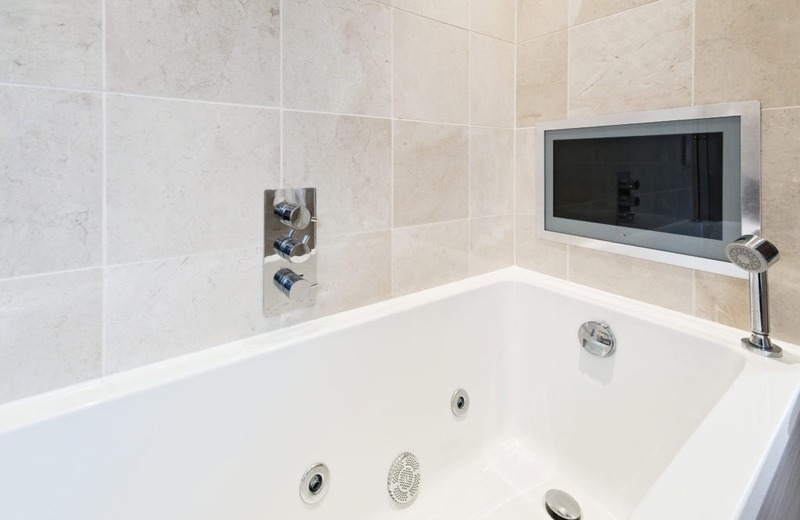 Sure, it can be nice to install a small smart TV to bathtub wall panels to watch your favorite programs while soaking in the tub. You might like singing along to music on your smartphone while taking a shower. Yet most electronics are not designed for bathroom usage. They can get damaged and ruined. Not to mention, the electrical hazards they present should water get on them. If you want modern-day technologies in your bathroom, shop around for products that are water resistant/moisture proof. It can be tempting to keep your jewelry box in the bathroom for easy access. Unfortunately, even high-quality pieces can be prone to discoloration, tarnishing, and damage from humidity and moisture. There is also the risk of accidentally dropping an earring, necklace, bracelet, or another small piece down the drain. Yes, we know medicine cabinets have long been promoted as great accessories to have in the bathroom. However, humidity and the fluctuations in air temperatures in the bathroom are bad for over-the-counter and prescription medications. Instead, store them in a cabinet in the kitchen since we tend to take them in the kitchen anyway. The bathroom might seem like an ideal choice for your cat’s litter pan, but it is not a good idea. Most brands of cat litter are humidity sensitive and absorb moisture. This means the litter will not be as effective at clumping and sealing away odors. Additionally, if your cat likes spreading litter outside her box, the small granules can get into the grout, caulk, and other areas. Plus, it can stick to the bottom of your feet after getting out of the shower or tub. Everyone knows that storing a toothbrush uncovered in the bathroom can leave it exposed to all sorts of bacteria, especially from the toilet. Covering the toothbrush in between use is just as bad because the brush stays wet. This can cause mold, mildew, and bacteria to continue to grow and be just as unhealthy. 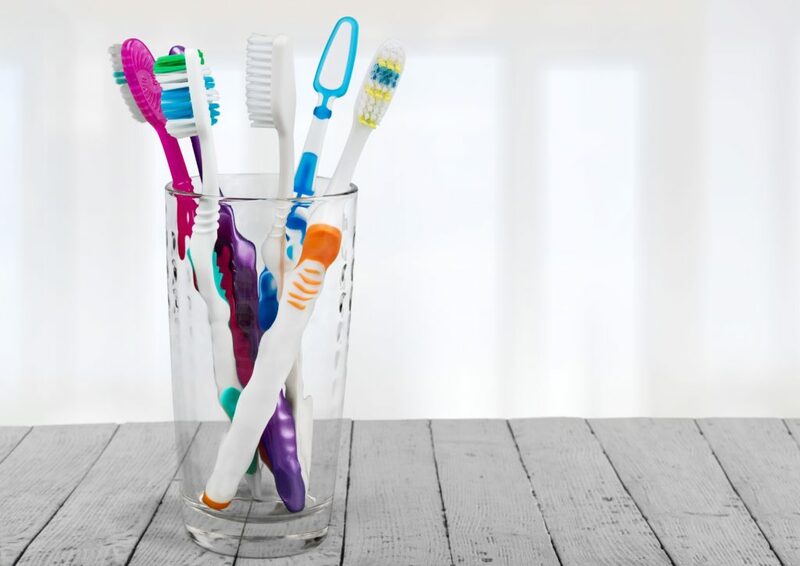 A much better solution is to store your toothbrush uncovered in your bedroom on your dresser or nightstand. We hope we have provided some useful information on what items not to store in your bathroom. If you are considering a bathroom remodel or renovation, please feel free to contact American Bath Enterprises, Inc. at (888) 228-4925 today for assistance in selecting new tub and shower enclosures!